It features two diamonds reportedly from Princess Diana's jewelry collection. Editor's Note: Article updated on May 19, 2018. 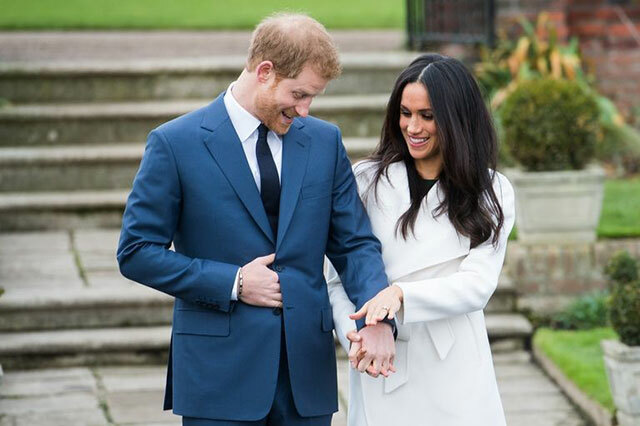 As you know, Prince Harry and Meghan Markle made their first appearance as an engaged couple on Monday, in the Sunken Garden at Kensington Palace in London. 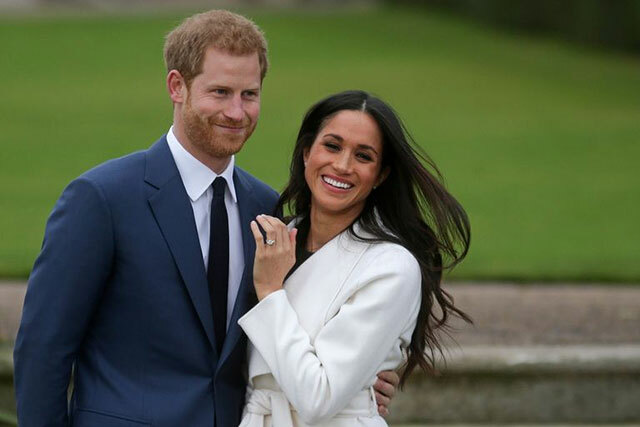 The two are set to wed on May 19, 2018 at 12 p.m. London time (7 p.m. Manila time), followed by a carriage procession one hour later around Windsor Town. 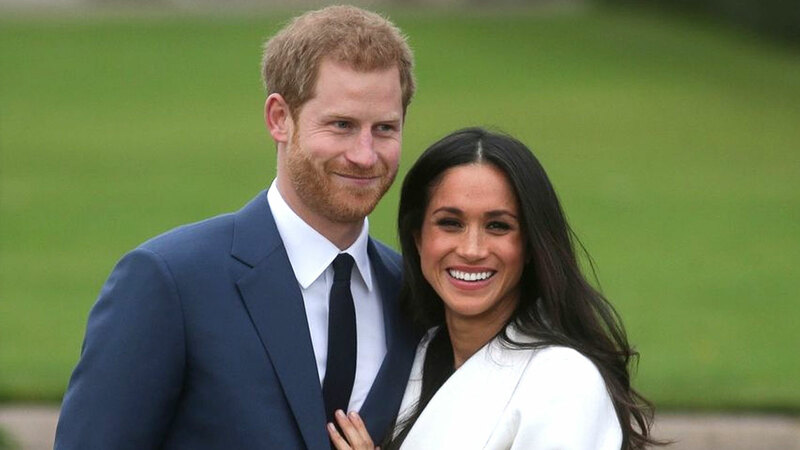 The couple will also celebrate with a reception at St. George's Hall, according to the Palace. Here's what you came for: a picture of her gorge diamond engagement ring. Very pretty, right? 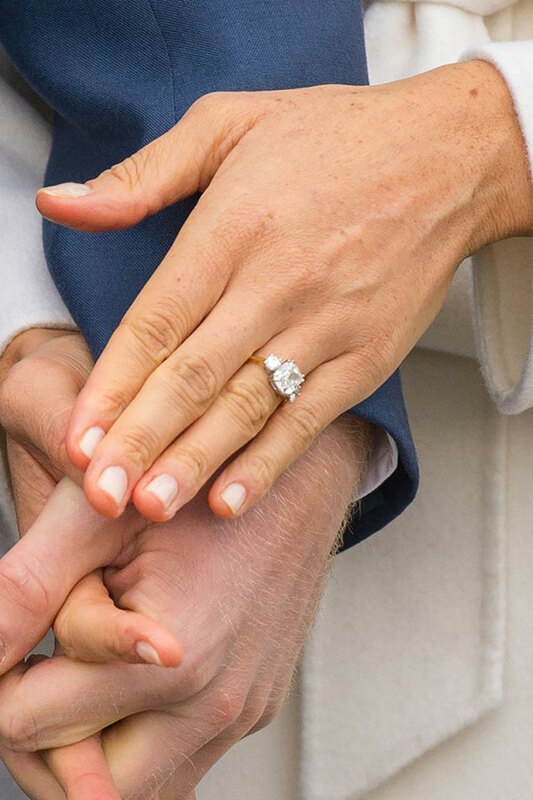 On closer inspection, the ring appears to be a square cut with rounded edges, commonly called a cushion-cut stone, according to diamond expert and director at Pluczenik, Grant Mobley. The center diamond is flanked by two smaller diamonds on the side and set on a narrow, gold band. Mobley also estimates that the center stone is 3 to 4 carats. 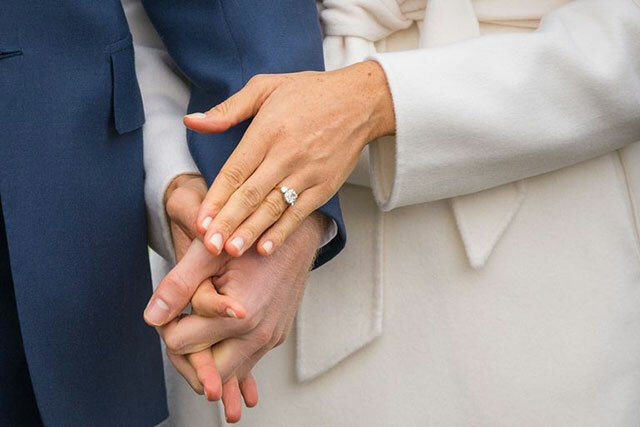 According to People, the ring has a lot of significance for the couple. It was made by British jewelers Cleave and Company, who have previously worked for his grandmother, the queen. The two stones on the side are reportedly from Harry's late mother Princess Diana's personal collection. The center stone is from Botswana, a place Harry has often visited, and where the couple has vacationed together. 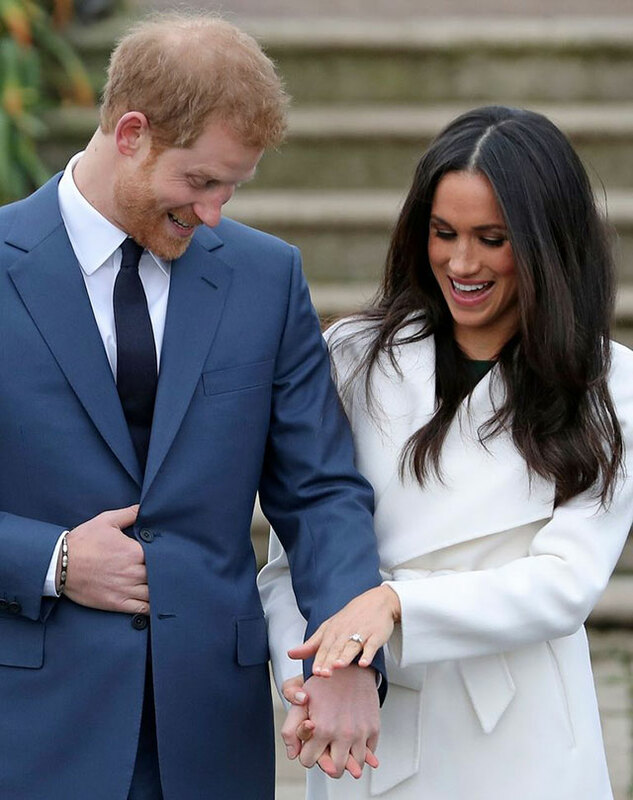 Both Harry and Meghan seem to appreciate how pretty it is.